We have the answers for all your home remodeling needs by offering exclusive home goods and remarkable service. Our professional team has been offering excellent customer service for over one decade and unprecedented collections from high-end manufacturers across the world. We can transform our customer’s living space into a showplace that they can love and enjoy. Our portfolio has collections for every room or project such as: custom kitchens, bathroom vanities, lighting, bedroom sets, doors, dining areas, furniture, custom closets, tile, mirrors and many more. These products also come in various styles to meet anybody’s taste: modern, classic, art deco, and contemporary. Renovating your home or business is not as stressful as it sounds, because we can help with: design, decoration, storage, delivery and installation. We can tailor to the wildest imagination and have experience working with architects and luxury designers. 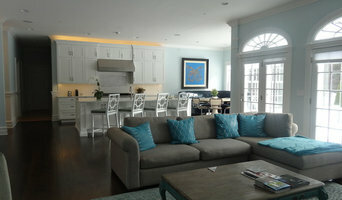 And yes, we can handle any size project including high-end residential to multi-unit apartment buildings. Also, due to our strong relationships with our overseas partners, we can introduce to everyone the latest trendy designs from premier collections that are made out of high-quality materials. Our philosophy at Exclusive Home Interiors is to unremittingly hit the market year after year, and to refine our symbiotic relationships with our partners abroad to deliver the best luxury products and premier services to our customers. We continuously look forward working with the latest builders and architects in the big Apple and Northeast area. Additionally, our constant involvement in market research and projects combined with traveling and participating in world famous exhibition shows in Italy allows us to bring the latest trends and styles for our customers to enjoy. We are commitment to satisfy our clients’ needs and to create lasting memories. Visit us at, www.Exclusive.NYC and our showroom located on 1180 Coney Island Ave, Brooklyn, NY 11230. Kennedy Tiles and Marble, Inc.
Kennedy Tiles devotion to excellence and hands on approach to running our business has earned us a reputation for fabrication of stone and sale of tile with superb outstanding quality in our products. We strive for the highest quality and provide the best customer service in today’s industry. Choose from a large variety of stone slabs, porcelain, glass and stone tiles. Kennedy tile is proud to provide its knowledge and expertise in the use of natural stone in a variety of applications including counter tops. Kennedy Tiles is the one-stop tile and marble center for homeowners, contractors, interior designers and architects. We're sensitive to the functional and custom artistic tile needs of our clients. We offer a unique library of tiles and natural stones for every need and taste to fit in any residential or commercial project. Stop by our showroom in Jersey City, NJ to view the finest selection of ceramic tiles, granite countertops, and marble tiles. Shop us in the Houzz Marketplace! A Kitchen & Bathroom Interior Design Specialist. We are Creative, attentive and provide a unique design experience. Nava Slavin, the president and CEO of The Creative Edge, Inc. has a degree in architecture, is affiliated with the NKBA and IDS, and has over 25 years of experience in kitchen, bath and interior design. The Creative Edge, Inc., the award winning interior design firm, specializing in kitchens and bathrooms, was founded 1n 1980 by Nava Slavin. 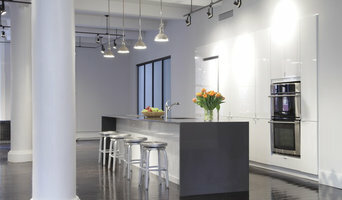 In 2006 we opened a design studio & showroom in Roslyn Heights, Long Island NY. Featuring a wide variety of kitchen and bath cabinets, tile, countertops and anything else you will need for your project including installation. 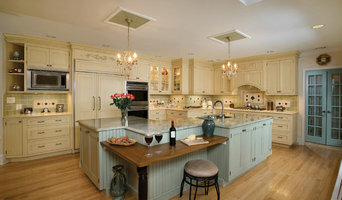 Ulrich, Inc. offers comprehensive design/build services specializing in kitchens, baths and custom home remodeling. With a staff of over 25, the employee-owned company has served the Northern New Jersey / New York metro area for over 65 years with an exceptional reputation for its commitment to personalized service, high quality products and fine craftsmanship. Through the knowledge and expertise of its award-winning design staff, dedicated on-site project management team, staff of professional installers, and via long-term relationships with homeowners and trade professionals the Ulrich team is proud to create living spaces that are as unique and special as each of its clients. At Cabelis Interior Design, our design philosophy is to bring a fresh look to classic design forms in a way that is personal to our clients. We believe the importance of good design cannot be understated. The way an interior space is fashioned can impact the way we act and feel. Our goal is understand what your functional needs and personal styles are, and then work with you to develop a fresh and livable design that maximizes your enjoyment in your space. Often clients know what they want but don't know how to realize their vision. Others just want to put their trust in an expert to deliver a beautiful space. Our greatest asset is translating your wishes into a space that is timeless and elegant and right for you. We will never give you a cookie-cutter design. We understand that each of our clients is unique and with our help, your space will reflect your personal tastes. Sandy has been in the industry more than 10 years, with most of her work dedicated to upscale residential design. She has been able to cultivate relationships with quality craftsmen and tradespeople who help her deliver beautiful custom spaces. Before earning her degree in Interior Design from Berkeley College, she earned an MBA and had a career in business management for several large corporations. Sandy uses her corporate expertise and education to enhance her design business by planning, budgeting and negotiating on behalf of her clients. Her role as designer and advocate will ensure a successful, smooth design project in all aspects. Sandy has been an active member in the New Jersey Chapter of ASID since the beginning of her career. She is currently serving her second term on the Board of Directors.